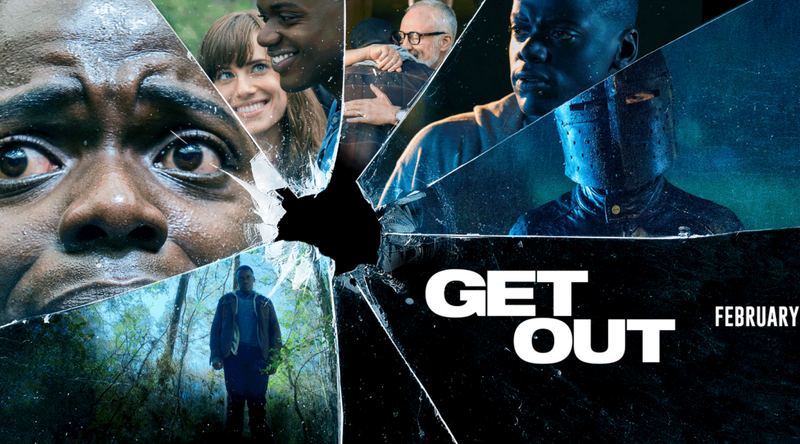 GET OUT is a confident, subversive and visually assured horror movie from debut feature director (and longtime stand-up comedian) Jordan Peele. It tells the story of a young African American man called Chris (Daniel Kaluuya) whose girlfriend (Allison Williams - GIRLS) takes him home to meet her parents (Catherine Keener and Bradley Whitford) for the first time. As with all the best horror, there's a deep and subversive commentary on social conditions here. And in the case of GET OUT, Jordan Peele is trying to tell us that the most insidious form of racism is that is secretly practiced by liberal educated rich white people - the people who vote for Obama and donate to the ACLU but don't actually want their daughters to date black men. The director also seems to be sending a message to his fellow African Americans - a message warning against complacency about race relations. And this message is embodied in Chris' hilarious best friend Rod, who warns him against going to his girlfriend's parents house in the woods early on, and is instrumental in helping Chris as her parents turn out to be quite literally using the silver spoon of privilege to subjugate him. This tale of modern day racial slavery is, then, deeply profound and provocative, but this film is also hilarious and frightening by turns. It's quite astounding to see a debut director handle the tonal shifts with such aplomb, not to mention the impressive production design of the oppressive house and his eye for framing a visually iconic shot. The cast all deserve praise, although it was particularly interesting to see Allison Williams subvert her GIRLS character's preppy self-absorption in this film. But the subversive nature of this film is many faceted. I particularly enjoyed the fact that the most hated of bureaucrats and petty power brokers - the TSA - turn out to be good guys here. Ultimately, GET OUT feels like exactly the right movie for our times - in which the happy surprise of Obama's election is over-turned by the surprise victory of Trump - and in the wake of the #blacklivesmatter movement. It entertains us but also reflects the deep fractures in American society. And this may well be why the film continues to do so well at the box office. GET OUT has a running time of 104 minutes and is rated R. The movie played Sundance 2017 and opened earlier this year in the USA, Canada, Philippines, Greece, Singapore, Estonia, UK, Ireland, Denmark, Kuwait and France. It opens on April 7th in Indonesia, Lithuania and Norway; on April 20th in Sweden, Hungary, Malaysia and Turkey; on April 28th in Poland; on May 4th in France, Australia, Switzerland, Chile, Germany, Portugal and Finland; on May 11th in Russia; on May 18th in Hong Kong, Italy and Spain; and on June 15th in Brazil.